A creepy experience happened that day to a guy when he suddenly captured a chair move on its own multiple times on his work. This video was a uploaded by a facebook user named Bhel Decorina on March 8, 2016, at 2:08 am that make rounds on Facebook after it was posted. Bhel said in its post that it was captured by Roger Décor from his work. In the video, after noticing chair move by itself Decor was trying to talk to someone, He said that “I always watched over you, what do you want, I can help you”. Suddenly after a few seconds, office cabinet begins to move and bump that makes a noise. 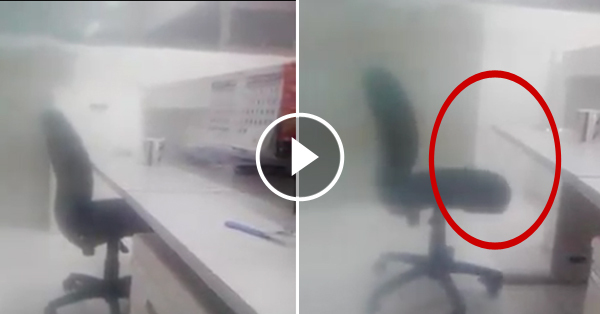 Netizens got scared after watching the video while some say that only fool can believe it. kuha ni kua Roger Decor sa work nia.